Cross Server Super Tycoon and Prophecy! Legacy of Discord is introducing a brand new rewards event to our guardians! From Feb.19 to Feb.22, the new Resource Tycoon will be online. By competing to collect resources, players have a chance to win the brand new Wrathwing, Prophery! 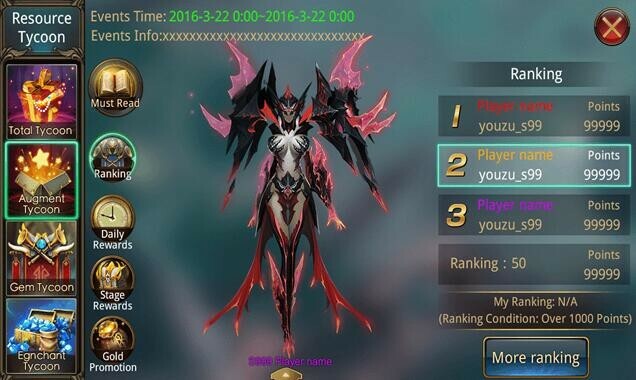 Along with Gold Tycoon, Augment Tycoon, and Reforging Tycoon, players can now collect Glyphs for Glyph Tycoon which will contribute to their overall Cross-Server Resource Tycoon points and rewards. 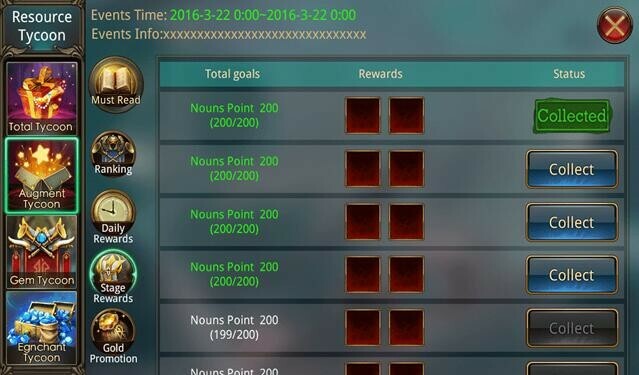 Additionally, Resource Tycoon is now a cross server event with even better rewards! Since the Tycoon events offer so many types of rewards! Players must read the rules carefully to make sure not to miss any benefits! 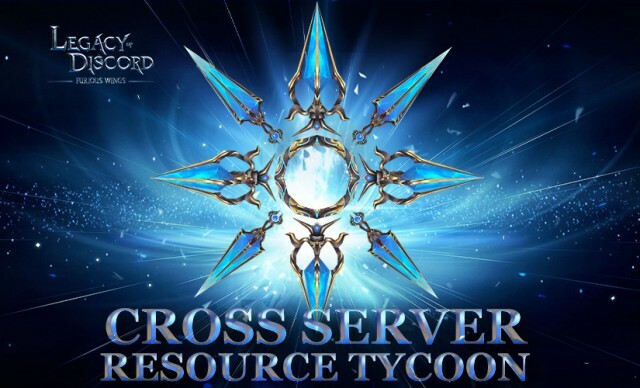 Note: Cross Server Resource Tycoon will only be available on older servers from Feb.19 to Feb.22. New servers (those that opened within 15 days) will have to wait a bit before seeing the event.